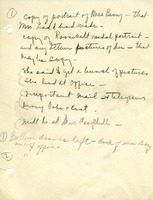 A to do list dictated by Martha Berry. 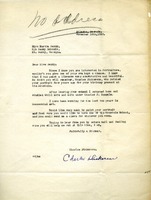 Charles Dickerson would like to paint a portrait for Martha Berry. 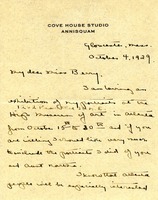 Martha Berry tries to clear up a problem with Custom House Officials. 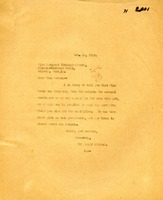 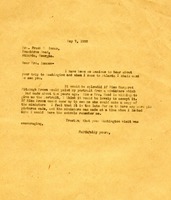 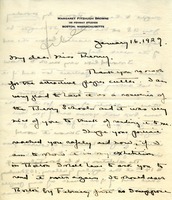 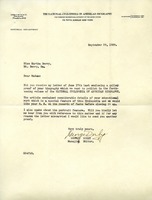 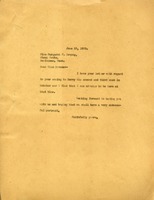 George Derby, the Managing Editor of The National Cyclopedia of American Biography, is curious as to whether or not Miss Berry received a letter with the proof of her biography because Derby would like to publish it. 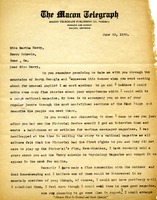 He is also double checking to see if Miss Berry's educational background that has been provided is accurate. 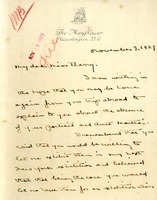 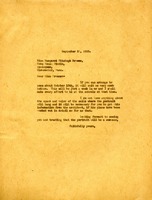 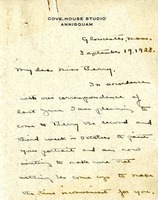 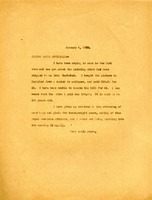 Ford writes Berry to explain that she has not yet sent the portrait for Clara Hall, named for Clara Ford, because she has not yet had time to have it framed.